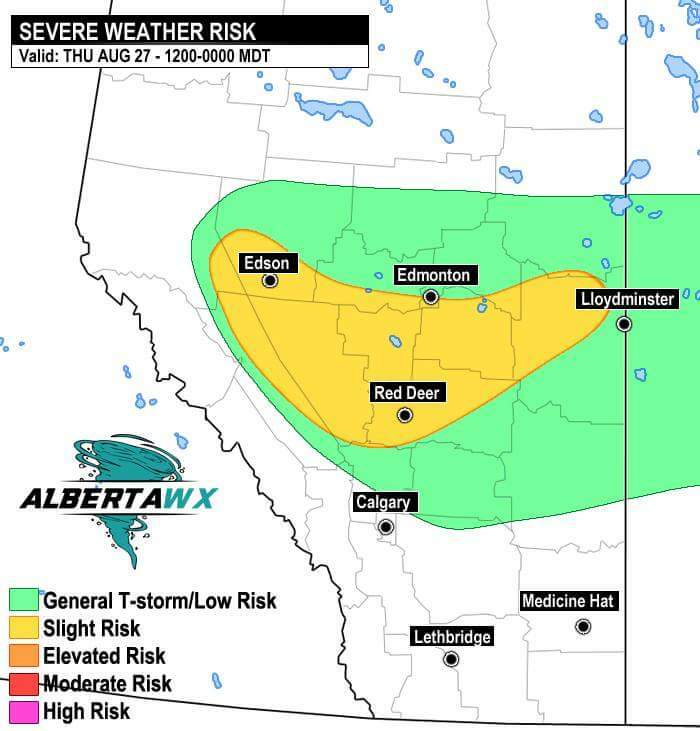 Keeping an eye on tomorrow, where we see a risk for severe weather over a good portion of central Alberta. A shortwave will begin to move in from the west triggering storms off the foothills. Large hail and strong winds will be the main threats. Depending on how things shape up, parts of the risk area could be upgraded to an ELEVATED risk, should the dynamics hold. The first 2 months of summer we a solid ~2°C warmer than normal for the bulk of the province. August is likely to continue the trend. 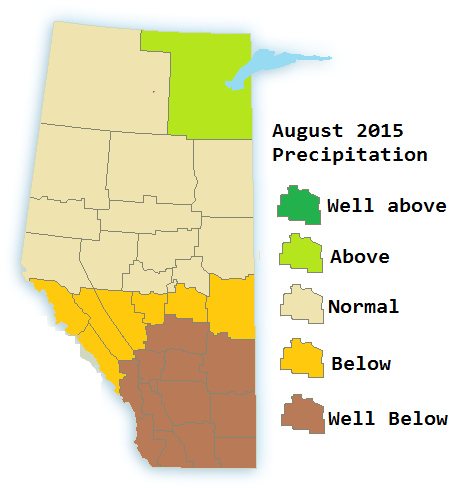 Overall We expect August to be warmer to much warmer than normal for all but the North-east part of the province. Precipitation should be below normal over central and southern Alberta with sightly wetter than normal in the extreme north-east. 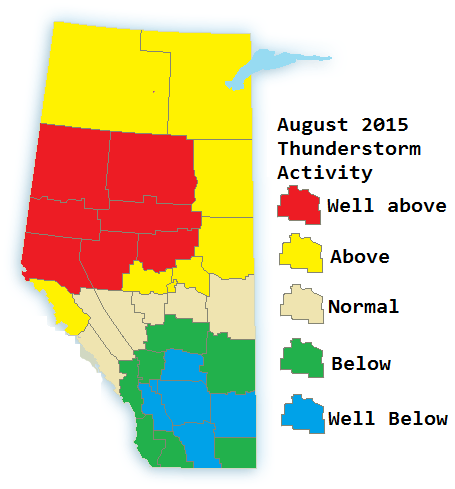 Thunderstorm Activity is ramping up along the yellowhead and into north-western Alberta and calming down considerably in southern Alberta. This is in part due to a stronger Jet courtesy El Nino. 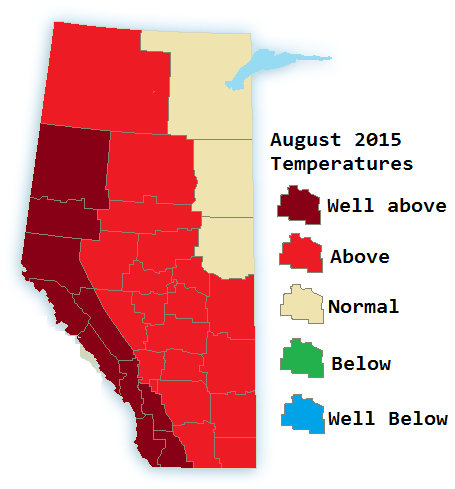 August 10-20: Alternating hot and cool north, Hot south. Frequent severe thunderstorms possible over the capital region.